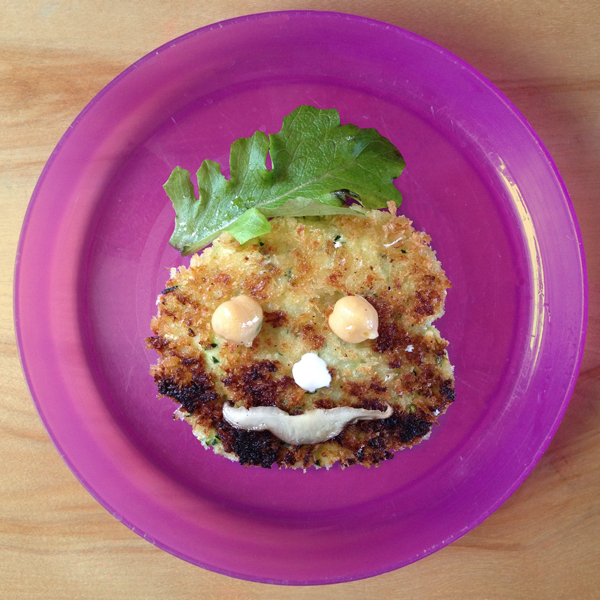 Yes, actually, turning the food into a smiley face works sometimes! For a little more than a year, my family has hardly eaten a dinner that wasn’t for a reason: recipe testing, retesting, testing a different cook method, finding a replacement meal for the one I originally planned, needing a photo of a dinner, needing to use up remnant ingredients, etc. I gotta say, my kids are awesome. I am basically writing this simply to commend them. At the writing of this post, they are 14 months, 3 years and 4-1/2 years old. For the first two-thirds of this journey, I swear they were never served the same meal twice. Poor kids, all they wanted was a hot dog. Instead they were my unwitting world-travelers and culinary adventurers. 1. Smiley face. I must admit, for my young children, turning the food on their plate into a smiley face actually does work to get them to try new foods. 2. Food equality for all. We treat all foods as equals—to be as excited about vegetables as chocolate chip cookies. Don’t make it sound like a punishment to eat vegetables, or a threat of no dessert if they don’t. 3. Bribery. When they absolutely refuse to try something new I am not above bribing them: “I’ll give you an M&M if you take a bite of this.” The goal is to get them to try new foods so they get used to the flavors. If I can avoid a dinner stand-off and get the food in their mouth for the mere price of an M&M, so be it. More often than not, they realize that there isn’t anything to be afraid of on their plate (and, if I may say so myself, they learn that their mom is a rock-star who cooks fabulous food!). 4. Grouping vs Combining. Deconstructed dinners often have more success than a fully plated dinner. (Surprise, surprise, kids will not eat something if a food they don’t like isn’t touching it.) On the opposite end of the spectrum, if there are a bunch of ingredients they are not used to they are more likely to eat it if the pieces are super tiny or puréed. 5. Give them the whole dinner. I always put everything on their plates, even when they screech that they don’t like it. I want them to get used to the look, smell, and hopefully taste of all the food we eat. They don’t have to eat it, but they have to look at it. I don’t pretend to have the answers to kids eating wholesome foods. I try to remind myself that they probably won’t eat like we do until they are 25 years old. But I will say, I am amazed at the way my kids eat today. Last week, I tried a recipe from a new cookbook and I warned them, “Everything in this dinner is new. There is nothing on your plate you will have tasted before. You may like all of it, some of it, or none of it but I expect you to try it.” It was chicken stewed in a coconut-lime broth hotly spiced with curry paste along with a plantain-sweet potato mash seasoned with turmeric, and curried chickpea rosti (like thick, dense pancakes). My kitchen smelled like a foreign city. These were all new flavors and some new textures, and the kids were incredibly good sports and tried all of it, and each enjoyed different components of that meal. Don’t get me wrong. My 14 month old still earnestly picks up every food from his tray that he doesn’t want to eat and deliberately drops it, watching it as it goes overboard and plunks to the floor. He is probably my pickiest eater but has no system to speak of it. One day that food is “in,” the next it hits the floor. My 3 year old periodically reminds me, “I don’t like butter!” (he actually does, he just likes to say that) if I deign to mention that butter was involved in the cooking process. The other night I made miso-marinated black cod with seaweed salad and black rice. While delicious, none of it was a hit with the kids. Though, I was so impressed that my daughter actually grabbed a handful of the seaweed salad and popped it right into her mouth (then saying, “Mmm, this is good but I don’t really want any more.”) After a certain amount of effort, my husband and I got the kids to try everything.